UK: The offshore wind industry could be worth almost £3 billion (€3.4 billion) to the UK economy by 2030, new research from ORE Catapult claims. 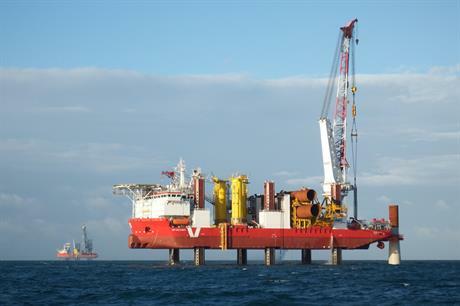 ORE Catapult said offshore wind is cost-benefit neutral at the £105/MWh strike price set for the next support auction and at 30% UK content. The Economic Value of Offshore Wind: Benefits to the UK of Supporting the Industry report found that for every £10/MWh (€11.50/MWh) in cost reduction found below the strike price is worth between £240 million and £350 million (€277m-€404m) to the economy, depending on local content. For every 10% more of UK content, offshore wind adds between £500 million and £600 million (€578m-€693m) to the purse. The total value of offshore wind to the UK could reach £2.9 billion by 2030 if 65% local content can be achieved, according to the report. "If the next UK auction round achieved a strike price of £90/MWh and 50% UK content, this would represent an estimated £1.7bn per GW net benefit for the winning bid," ORE Catapult said. The catapult's CEO Andrew Jamieson said: "Continued cost reduction and increasing amounts of UK content will significantly increase the economic value of new offshore wind projects, which forms the basis of a compelling sector deal in line with the UK's current direction for industrial strategy, with industry and Government working together to maximise UK growth and job opportunities and continue the cost reduction journey."